Posted: Thu 10 Feb, 2011 11:58 am Post subject: Show Us Your 19th Century Swords! 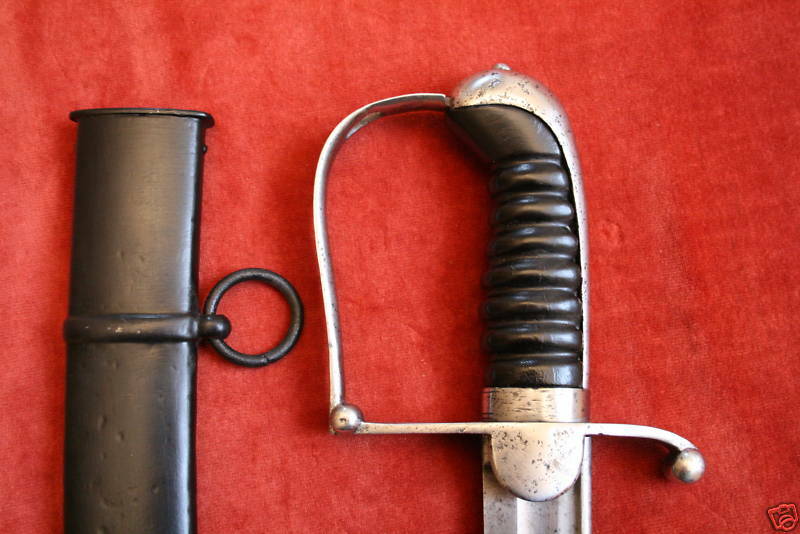 There was a tremendous diversity of swords in the 19th century--curved blades for cutting, straight blades for thrusting, blades that made concessions to both functions. 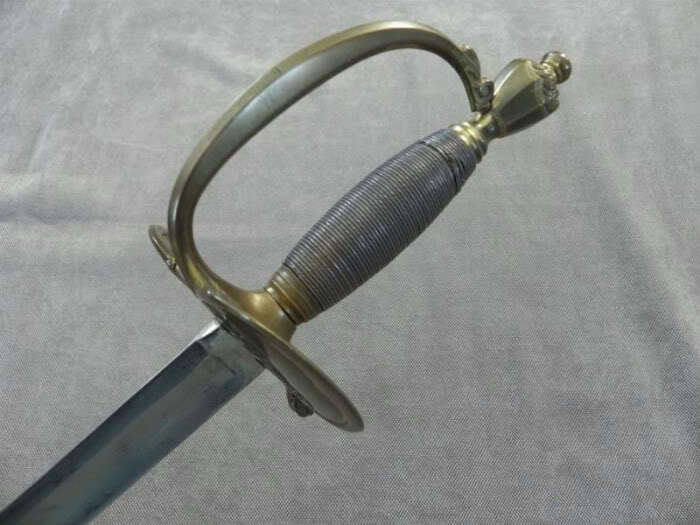 There were court swords, civilian swords, military regulation pattern swords, tulwar, kaskara, etc....This thread is intended to showcase swords of the 19th century, so please share your antiques and reproductions of 19th century swords! 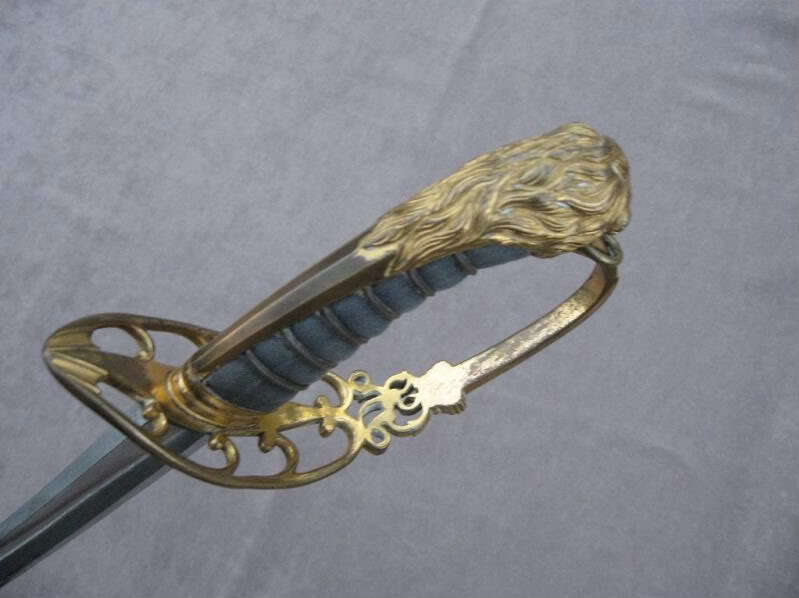 I will start things off with a few British swords from the Napoleonic period. For an excellent overview of British infantry swords of the period I recommend the SFI article The British Infantry Officer's Sword · 1776 to 1815 by David Critchley. 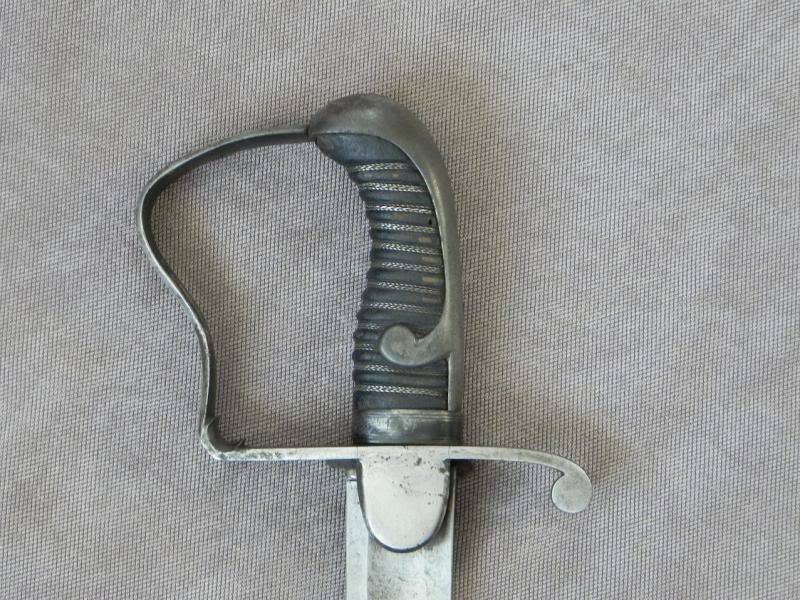 First up is a British Pattern 1796 Infantry Officer's Sword. 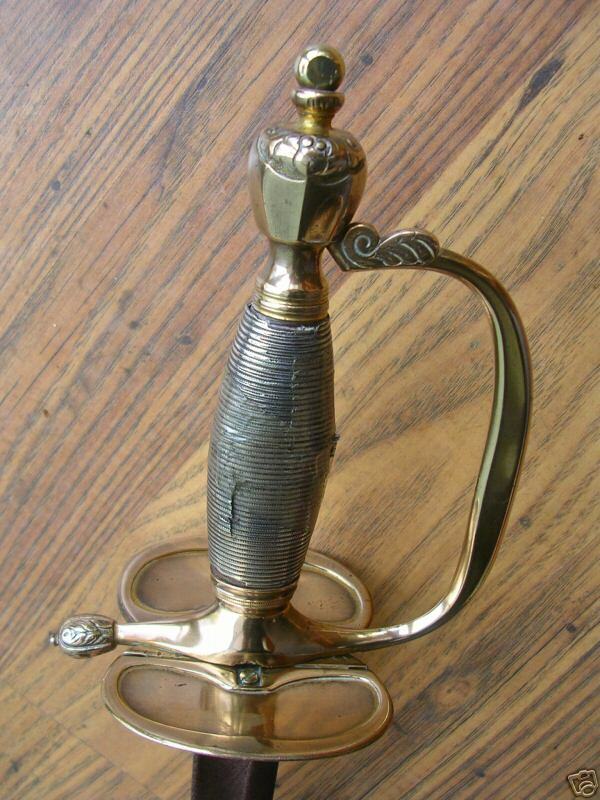 The blade decoration is gone after years of over-polishing, as is the gilt wash on the brass hilt. 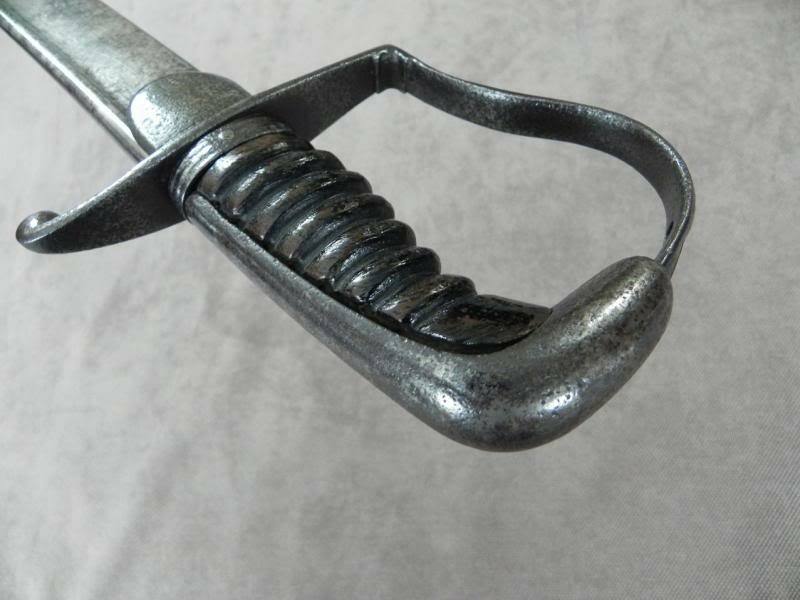 The silver grip is actually sheet silver that has been molded to resemble a wire wrap. 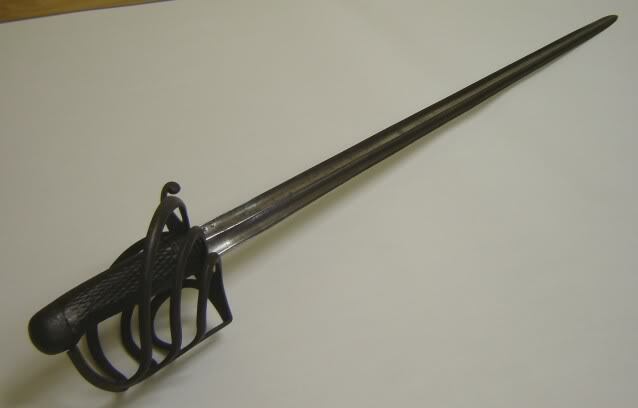 The bilobate counter-guard has a hinged section to make the sword more comfortable to wear and to prevent damaging one's uniform. 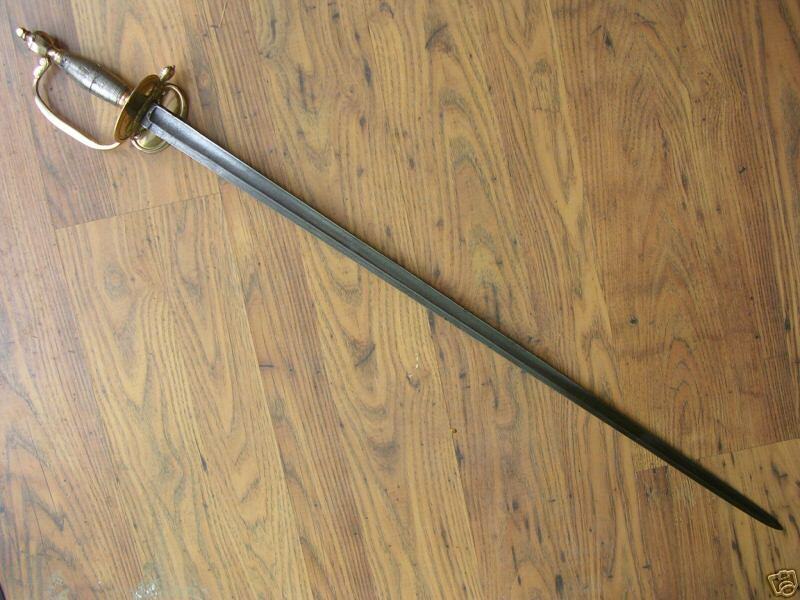 Next is a British Pattern 1803 Infantry Officer's Sword. This pattern was for officers of light infantry and flank companies. 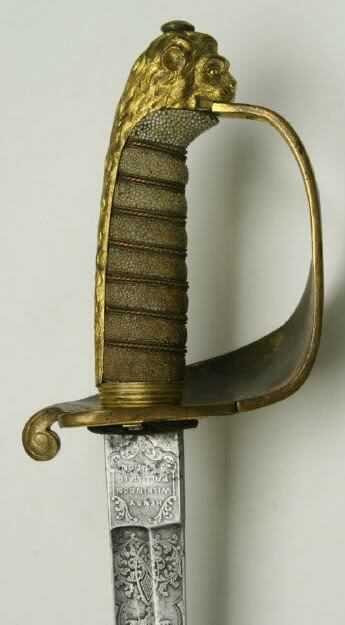 This example, retailed by Richard Johnston, still has much of its original decoration including a beautifully etched blade and gilt wash on the guard and scabbard fittings. The fish skin grip is in excellent condition and the leather scabbard is quite sound. 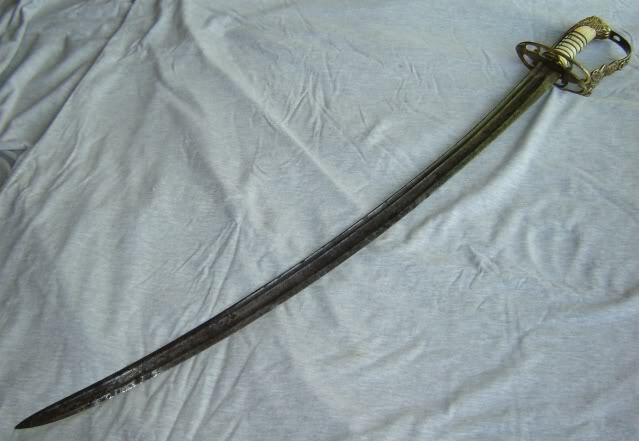 Without a doubt this is my finest Georgian era sword. M1803 is one of my fav's too. 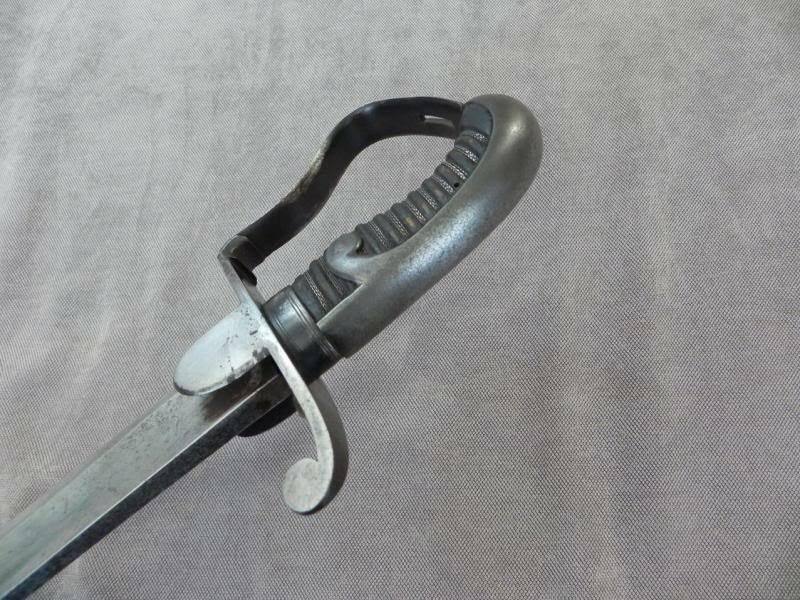 This one seems like an early version with the double fullered blade, solid knuckle, and is marked to the Highland Light Infantry. Has an ivory handle with silver wire. The blade is etched all up and down on both sides and must have been quite a beaut when the blue and gilt was still intact. unfortunately only traces of the blueing and gilt still survive. That is a a fantastic example and appears to be a fighting sword. Are there signs of it having been sharpened? Mine was not sharpened, and while it is not dainty the blade is not as wide as other P1803s. very nice swords. i`m greedy looking forward on this thread, after the marvellous developing of the 18th-cent.-swords-thread. here`s mine 19th cent. 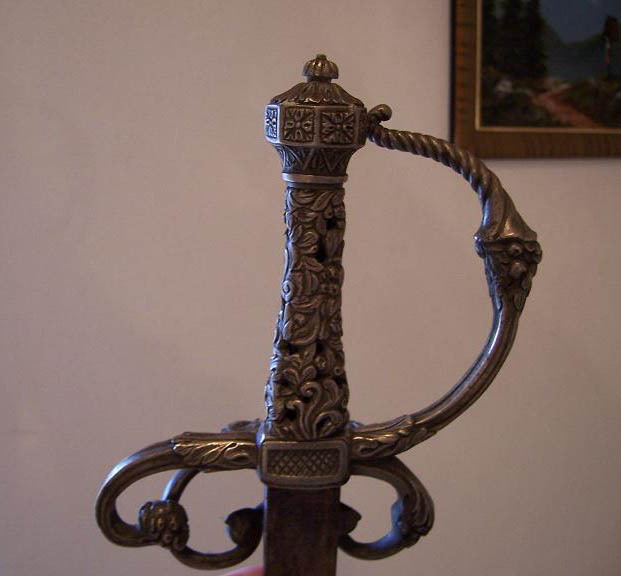 sword - the only one i own, a piece of family-heritage. was worn by a grand-grandfather in the 1830ies. 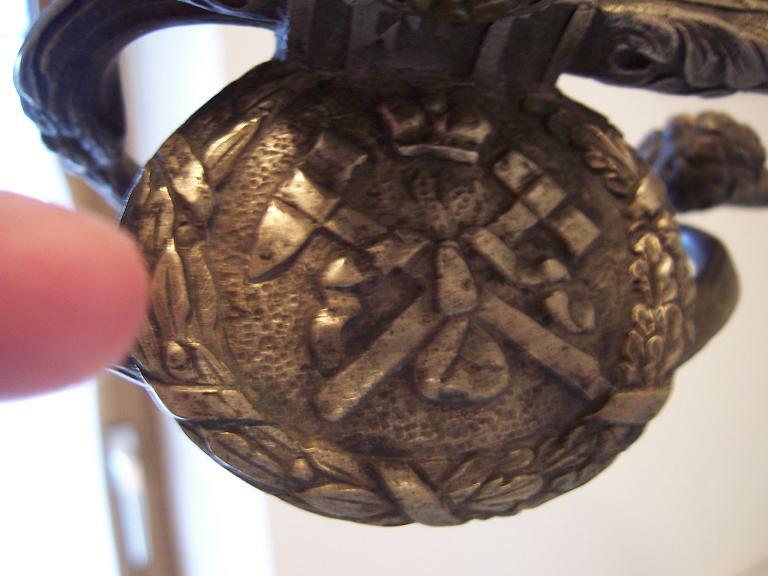 my ancestor was a mining engineer in a stately silvermine in kitzbühel - thus the miner`s symbols hammer and chisel. and the ruler of austria at this date was emporer ferdinand I. - thus the cypher F.I. on the hilt. stupidly i mistreated this sword as a teenager (grilling meat over open fire..., slashing at trees...). beeing a dress-sword for ceremonial occasions the blade was obviously not very well-made, and it broke finally. maybe i`ll see for a blacksmith some day, to weld it together again. 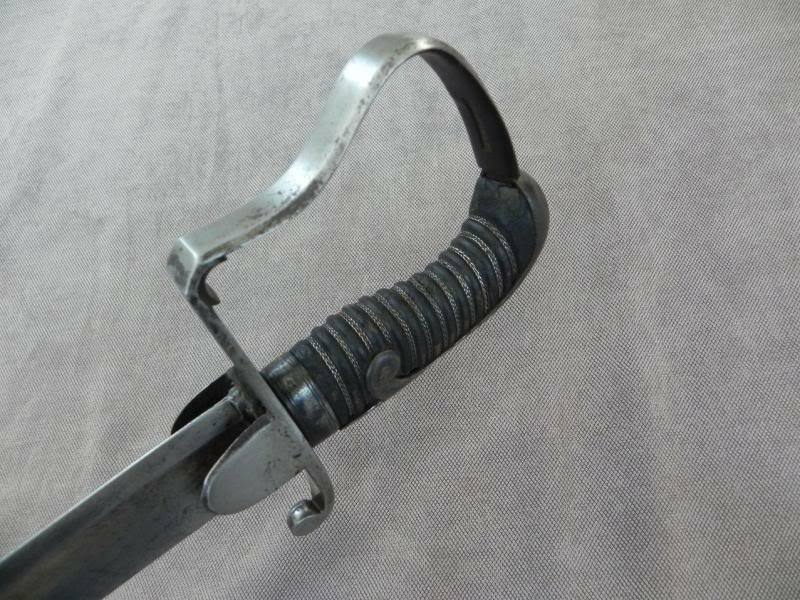 This one is an interesting Napoleonic period sword and was a bit puzzling for awhile..... but due to assistance from multiple folks at SFI a couple of years back I think I now know more about it. 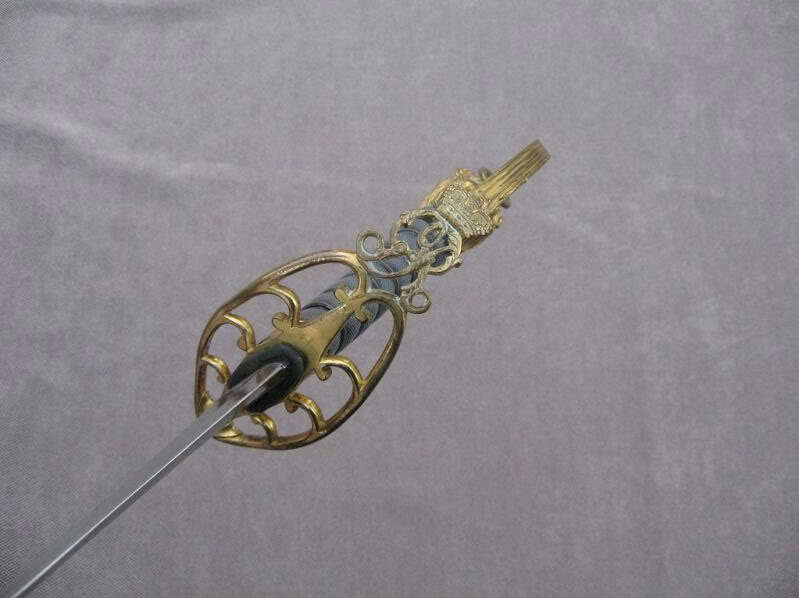 It is a Bavarian Guard sword from 1808/09, The Bavarian Guards were attached to General Wrede during the 1808-1812 period. 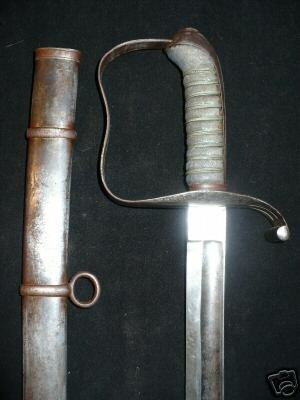 The sword is a French blade mounted in Bavaria sometime just prior to the battle of Wagram in 1809 (there are stamps on the blade for 1808 and on the hilt for 1809). Bavaria allied itself with France in 1805. Napoleon destroyed both the Prussian and Austrian armies in a campaign that ended in the surrender of the Austrians in December 1805 after the battle of Austerlitz. The German states of Bavaria , Baden and Wurttemberg who had allied with the French were then rewarded with independence of a sort. Bavaria gained kingdom status and several territories including Tyrol. In the campaigns that followed Bavaria acted much more like a weaker partner with France rather than a vassal state or ally. In the 1809 campaign Bavarian troops saw initially defeat with the French at Aspern-Essling but ultimately victory at Wagram. In 1812 Bavaria supplied the Grande Armee with VI Corps for the Russian campaign and Bavarian cavalry fought at the battle of Borodino. Following the disastrous result of the Russian campaign Bavaria decided to desert Napoleon's cause just before the battle of Leipzig. The Bavarians, fighting with the Allies this time, tried to cut off the French armies' retreat but failed to do so at the battle of Hanau. In 1814 the Tyrol went back to Austria, and Salzburg was also handed back in 1815. I like to to think this sword could have been at Wagram and possibly the Russian campaign of 1812. The basket is based on the classic D-guard which has a rather large and pronounced quillon. 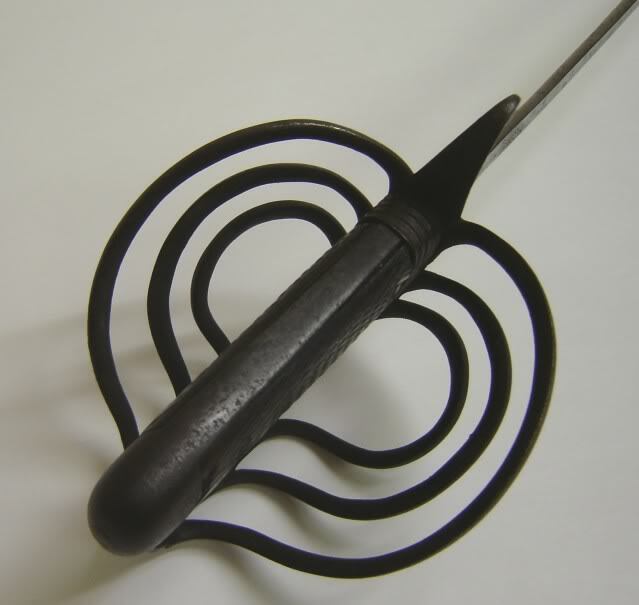 The basket is symmetrical and contains three rounded bars on each side which connect the knuckleguard to the front guard. The bars dovetail snugly (almost imperceptibly) into triangular cutouts on the knuckleguard without any welding at all. There is a steel backstrap and pommel cap. 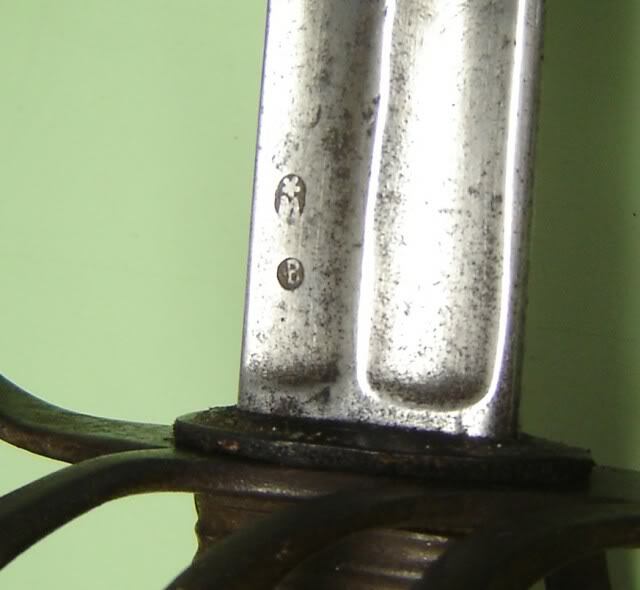 The knuckle is keyed into the pommel cap. The grip looks to be of horn or a hardwood with some light wear to a finely checkered grip. 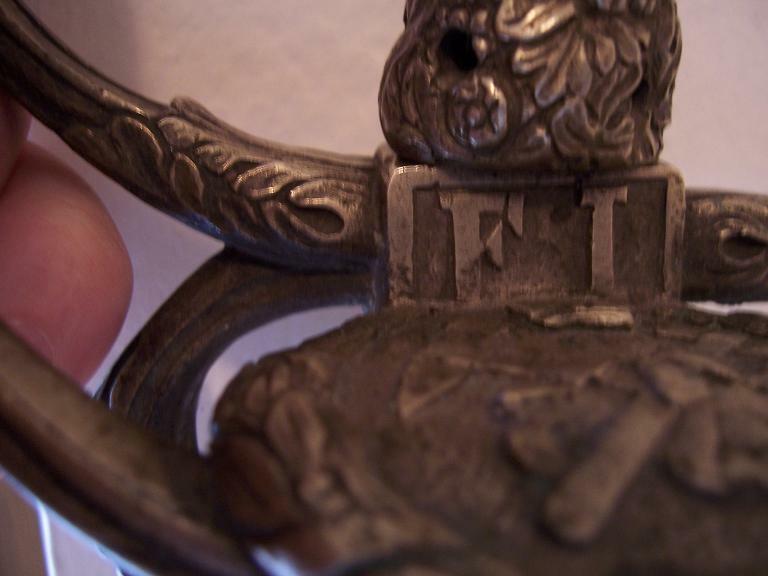 There is also a large iron ferrule holding the grip in place. The overall construction of the hilt is quite elaborate. It is a great handling sword ! That is a very interesting sword--I have not seen one like it before. If you do have it restored I hope you share photos with us! Thanks for starting this thread! Yes that M1803 has been sharpened and is nicked up a bit. 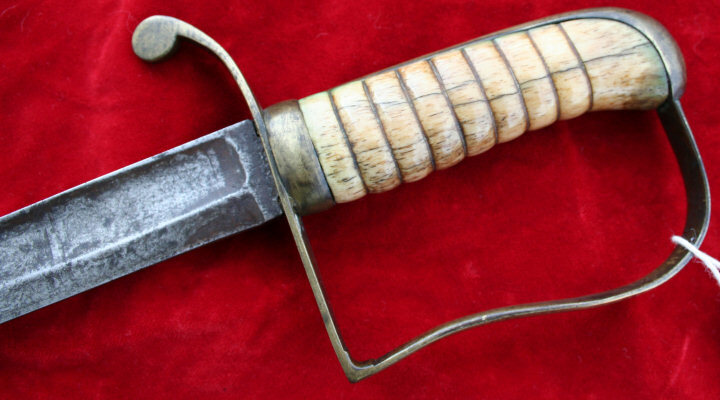 The blade is marked for the 71st Highland Light Infantry and has the LI badge on the knuckle. (interestingly, there isn't a single GR cypher for King George on the blade at all which I find ... interesting!) The 71st HLI were involved early on in the war against Napoleon in an abortive invasion of Argentina which resulted in the capture of most of the regiment. I am fairly certain that this sword dates to after the disaster in Argentina since the officers serving at that time would have surrendered their weapons but I don't quite know. My instinct says that this sword probably dates from 1808-1815 and is probably a sword that was in Spain during the Peninsular campaign, although the 71st were on the Walcheren campaign in 1809 and were at Waterloo in 1815. Your Bavarian sword looks like the Napoleonic equivalent of a P1908 or any number of late19th/early 20th century thrusting swords. It is quite a remarkable sword and I would guess that it is exceedingly rare. Webber served on the Bellerophon during the Crimean War. He also served in the second Opium War and sat afterward as a MP for Dorset. Yes with that hollowground blade quite stiff for thrusting. 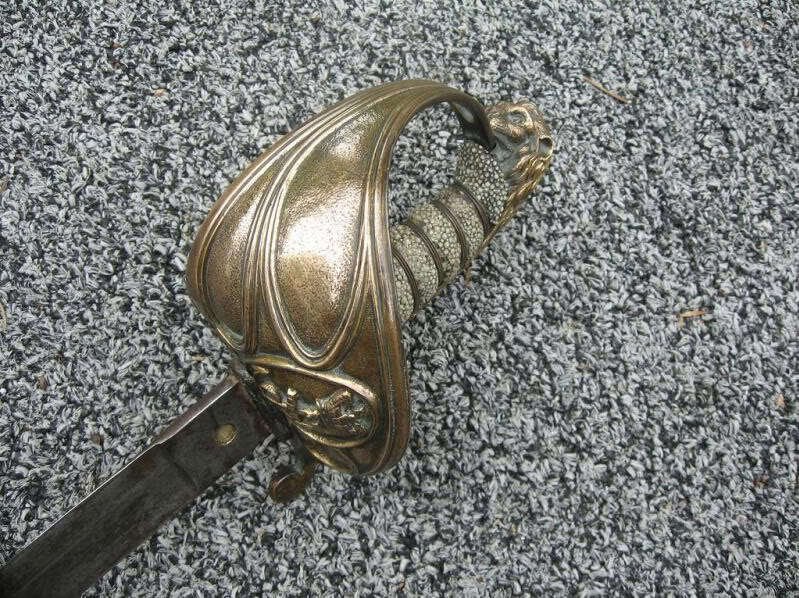 An unusual hilt for French cavalry which is what threw us off for awhile. 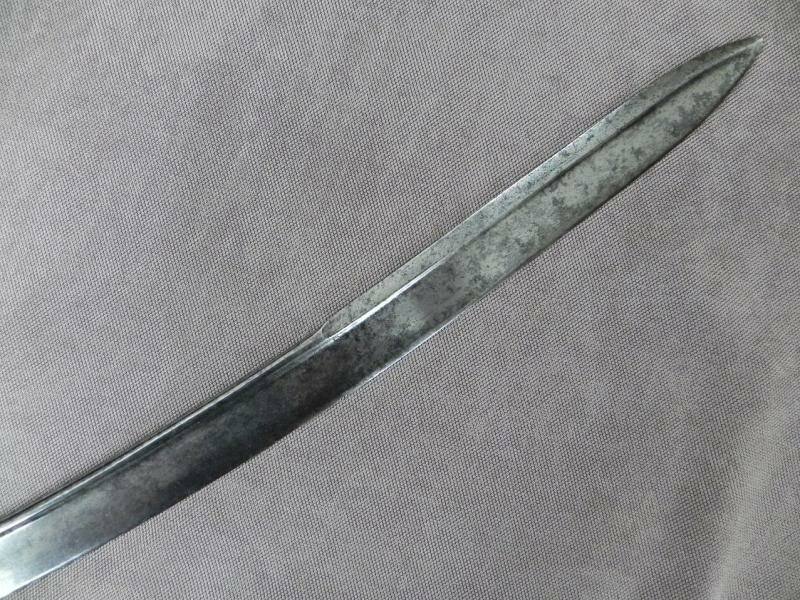 The blade is very similar to the French Cuirassier cavalry blade of the period and contains two inspection stamps identifying it as having been made in France in late 1808. It has a short ricasso, with twin deep fullers that run all the way to the spear-point tip. 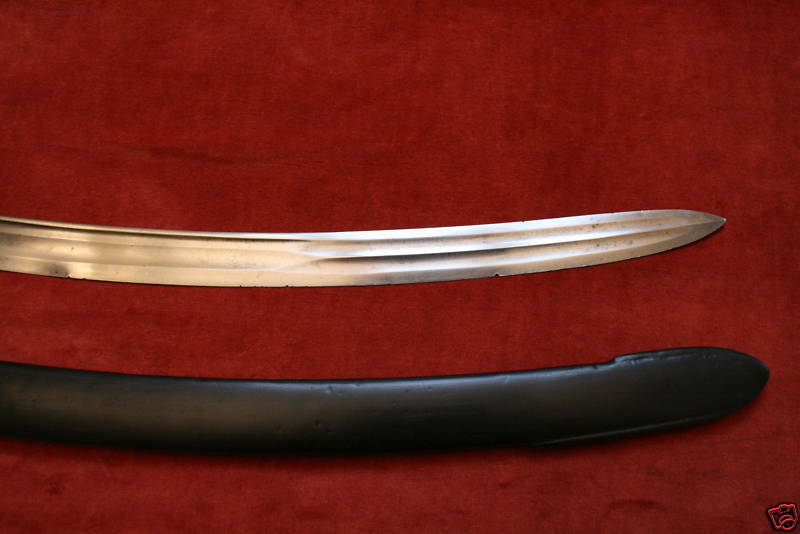 The blade is single edged, 35 inches long, 1 1/4 inches wide at the hilt and has a 5 inch long sharpened false edge. Now you are really getting into my area of interest--Victorian swords! 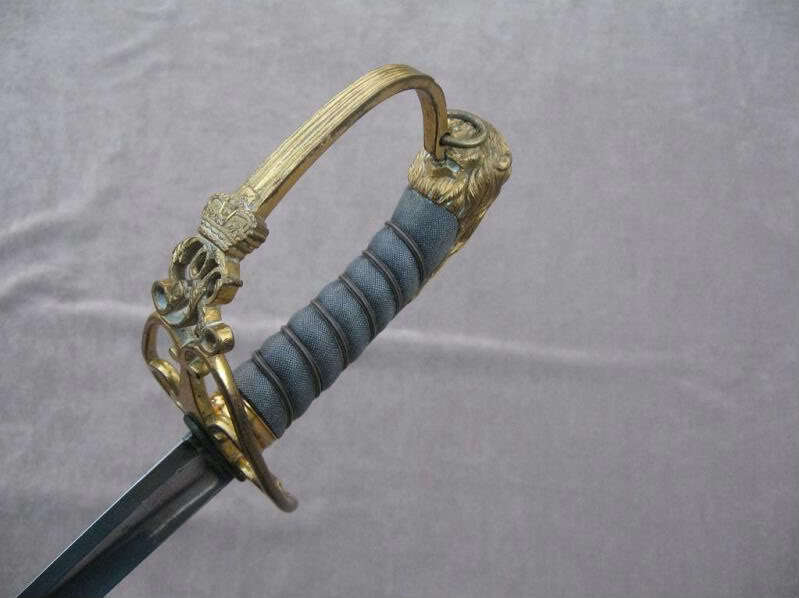 I am quite envious of your P1827/46 Naval Officer's Sword. The serial number dates the sword to 1855 so I'd say he definitely carried the sword in the Crimea and China. I had an early Wilkinson P1827/46 (serial number 5114, sold March of 1854), too, but sadly the proof book entry was blank for the sword so I was not able to trace the original owner. I would guess that it was carried during the Crimean War or the Indian Mutiny/Rebellion in 1858-59. The sword conforms to the 1847 regulations. 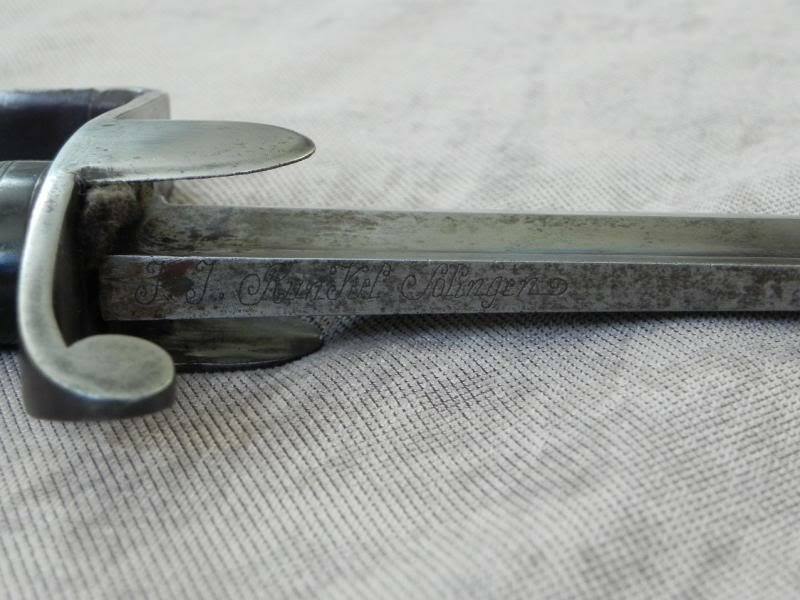 The sharp, age-darkened blade, etched with standard naval motifs (foul anchor, royal arms), is 31 1/4" long and 1 1/8" wide at the ricasso. 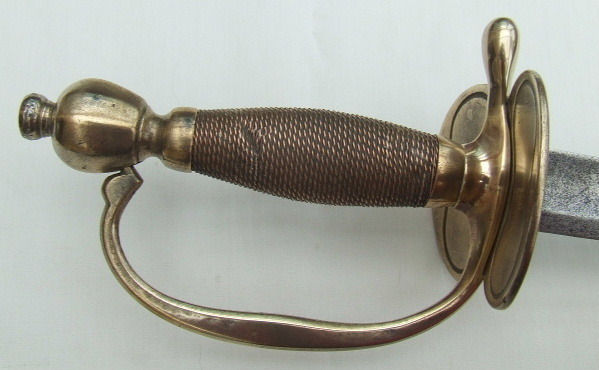 The brass hilt has lost most of its gilt, and the hinged inboard guard is missing. The white ray skin grip is intact, as is the wide wrap. 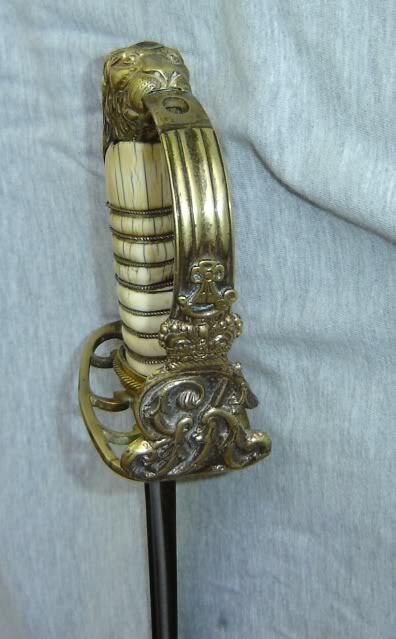 The scabbard's throat has two suspension rings (conforming to the 1846 regulations) and the center band has one (conforming to the 1856 regulations), so either the scabbard was originally made to facilitate two different suspension methods, or the center band was added later to conform with the 1856 regulations. Thom, that Bavarian Guard sword is great! Here is the first sword I purchased after I made the decision to start collecting antique blades. 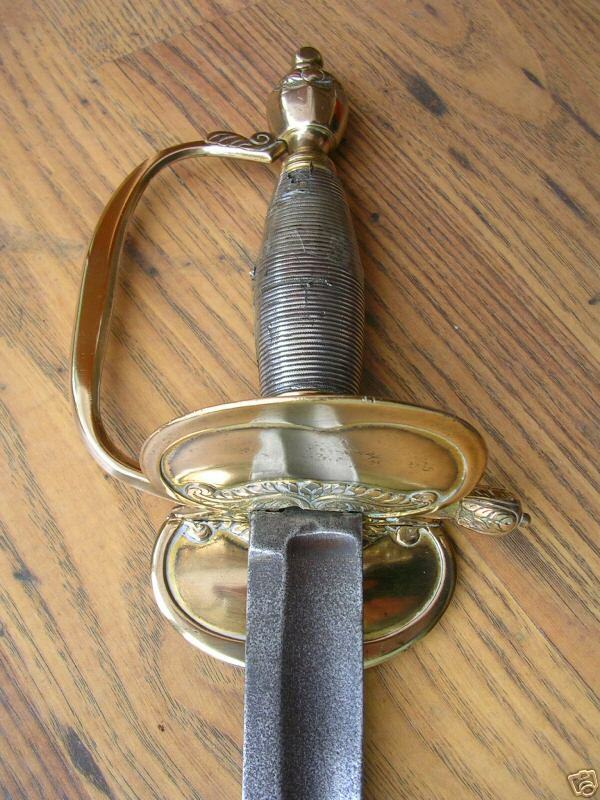 It is my M61 Austrian Infantry Officer sword. It has the Austro-Hungarian eagle stamped at the forte instead of the blade maker so I think it is an arsenal blade. Also it appears to be an all steel version with no chrome. 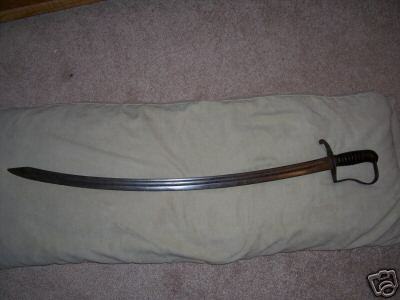 I dont know if thats because it wore off over time or because it is an arsenal field sword. But I really like it. It is a business like fighting sword that also has a gracefull appearence. My 1818 Nathan Starr trooper saber. A very handsome weapon that is at present hanging in my father's den. And even though we have already seen Jonathan's, here is my 1796 Officer Spadroon. "The Perfect Incumberance." Thanks for posting, Morgan! It looks like the grip of your P1796 Infantry Officer's Sword is also a sheet rather than wire. 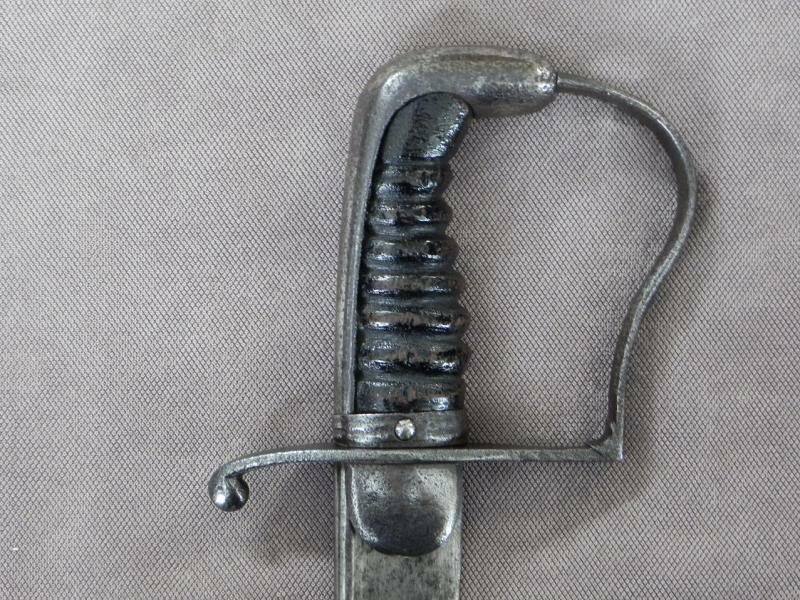 This is a Pattern 1796 Light Cavalry Officer's Sword, imported from Solingen by John Justus Runkel. The blade is plain and undecorated but retains most of its bright polish. The grip is black leather with silver wire. The ears on the back piece are comma shaped rather than the more usual shield shape. The scabbard is associated and not original to the sword as it is probably for a trooper's sword. This sword feels amazing in the hand! 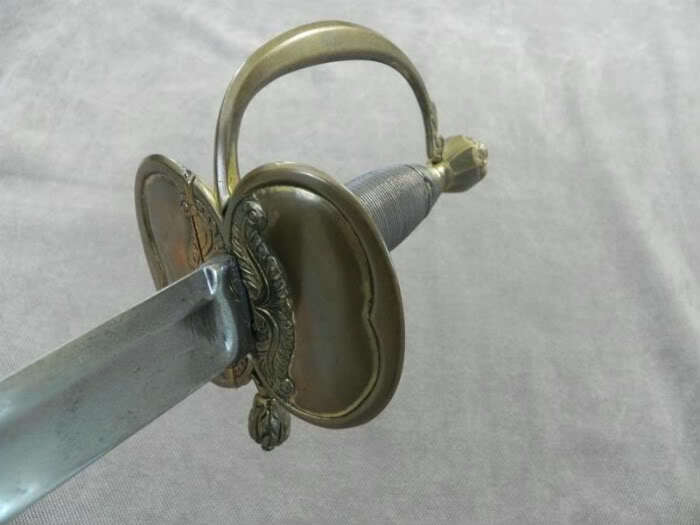 The next sword is a variant of the P1796 LC officer's sword. It has a pipe back blade which is sharp for all but 2"-3" at the ricasso. 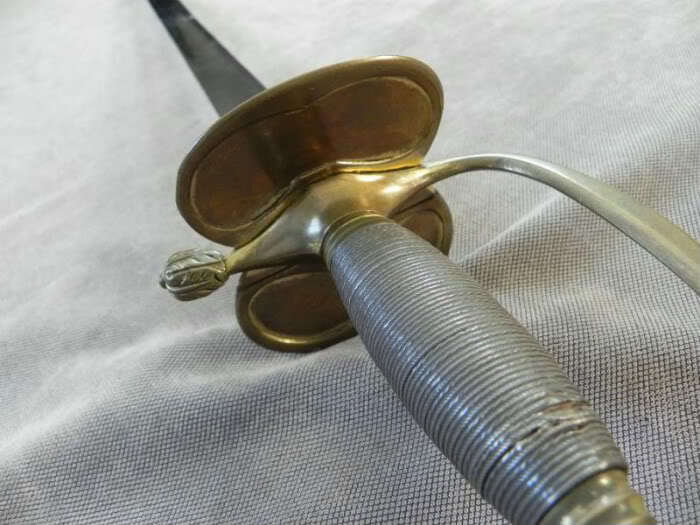 As can be seen in the sword above, the standard arrangement for the pin through the grip and tang is to pass it through the ears of the back piece. This variant instead has the pin through the grip ferrule. 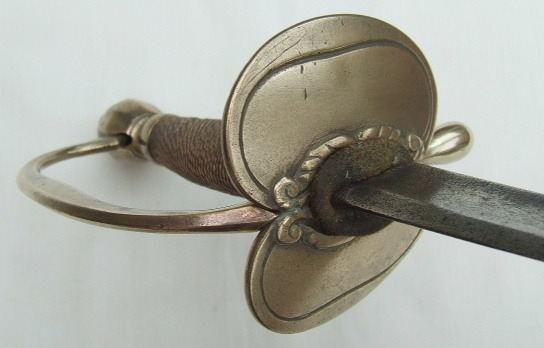 The beak pommel is another feature that deviates from the standard.The sword is not in top condition and is missing its leather or fish skin grip covering, but it is a great example of an officer's fighting sword c.1814-21. Love the "comma shaped" ears on the first 96LC and the spearpoint back edge on the 2nd, Jonathan. Here is my British Light Infantry officer saber. It has a lovely 3 fullered 28 inch blade. I only wish someone hadnt painted the scabbard black. Here's an Officers 1796 L.C. 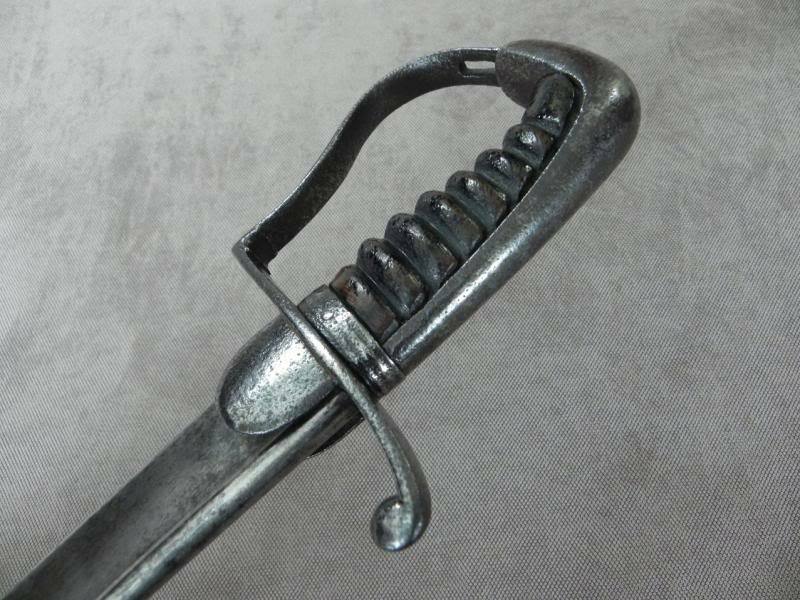 Sabre by Osborn with the pre 1801 coat of arms so debatably could slip into the 18thC, been in the wars a bit but still a formidable weapon. Here is my British Infantry Officers Spadroon varient. I am posting it here because I am uncertain if it is a Pre-96 version or a Post-96 version. It is basically just like the NCO spadroon except for the modified acanthus design on the thick and sturdy guard. Its one of my favorite swords. It has as a much larger pommel than the usual 1796 spadroon and is definately a sword designed for combat in the field. Great balance and a grip that is in excellent condition. The etchings on the blade are sadly gone form over-polishing. Your light infantry sword with multi-fullered blade is definitely my favorite sword in your collection. Great P1796! Thanks for posting it. I would have to start in tis batch with a reproduction I had bought for cutting and general handling fun. As tyical with the INdian reproductions, there was little distal taper to begin with. This also came as a blunt and I have filed quite a bit of thickness overall of the foible and it is quite sharp now back about half the blade length. 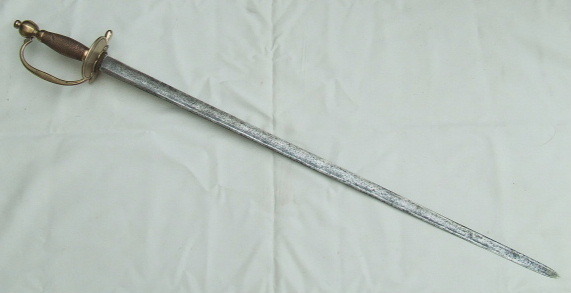 This was billed as a College Hill infantry sword from the American Civil War period. I was more looking at its shape and size than that it was a "Rebel" model. The steel backstrap actually does reflect the College Hill swords of history. I don't think though that it would fool any history buff or somewhat seasoned collector if found aged as old. Here are some pictures of a period cavalry College Hill. How to share the rest? Well, some shots get posted pretty regularly and I had shown most of the spadroons all at once except for this one. Another spadroon while a bit off the beaten path, one some may recognize from gracing Ron Ruble's pages for so many years. This one had been on my short list for a long long time and back to my first watching the antique market online. Ron is a gentleman and he had this one on his own wall for a good many years. This one with more of the later patterns where the fuller doesn't run all the way out to the point but is still very much a broad fullered slim backsword. (these are not great shots and may have compressed horribly). More as we go and I'll put up the eaglehead pommel swords. Some sabres, some spadroons. More curved and straight stuff too. Great stuff being shown here! Love that Spadroon, Glenn! Your light infantry sword with multi-fullered blade is definitely my favorite sword in your collection." 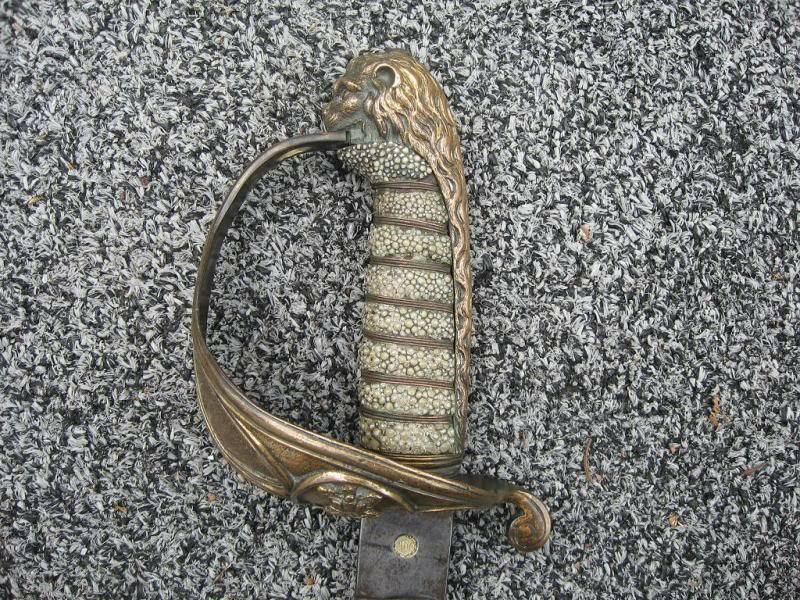 I wish I could date my Light Infantry sword better. 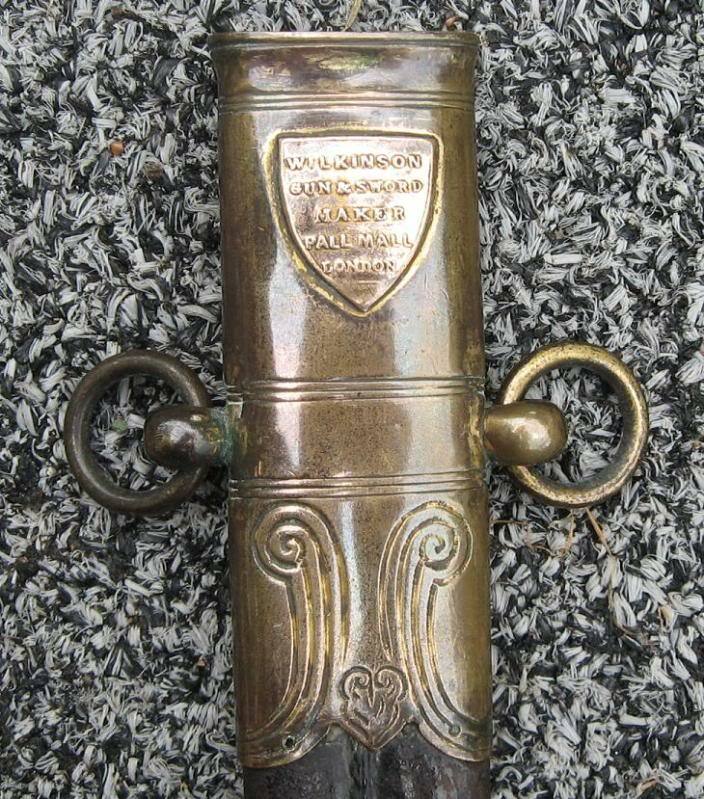 It has the english napoleonic wars "boot" on the scabbard. 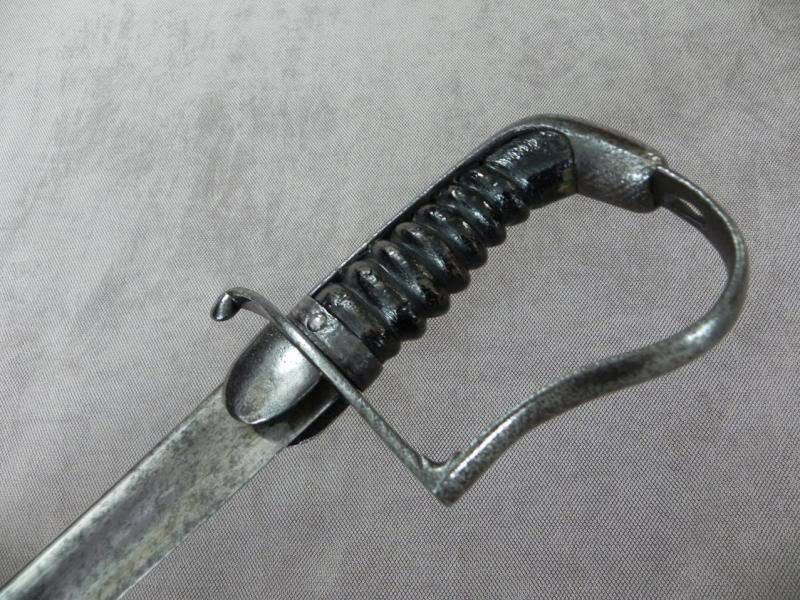 Its obviously pre 1822, as it looks like a private purchase sword (and spendy to boot with that blade) but the hilt doesnt have the swelling lower portion of the knuckle guard that most Napoleonic sabres have.